by debutant P Ramesh,A�promises to be a riveting crime thriller. 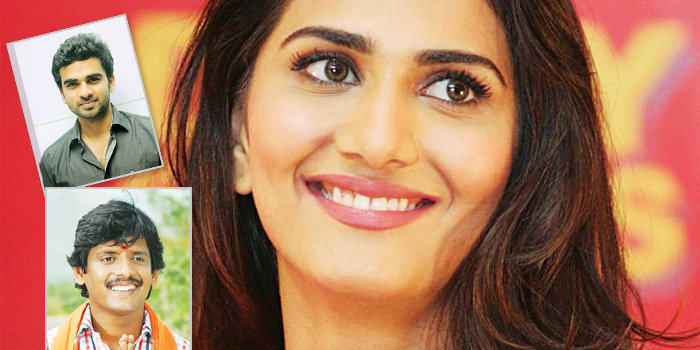 Vaani Kapoor is making her foray into Tamil cinema. The actress, who was seen in the recent Hindi film Shuddh Desi Romance, debuts in Aaha Kalyanam, directed by debutant Gokul Krishna. A February release, the film is the remake of Band Baaja Baaraat. Vani reprises the role of Anushka Sharma and Nani (of Naan Ee fame) plays Ranveer Singha��s character. Hopefully, this tale of two squabbling wedding planners will be as interesting as its earlier version. hiatus to oversee his sona��s debut project.